What's your Adwords PPC budget? Leads were down. Cost was up. 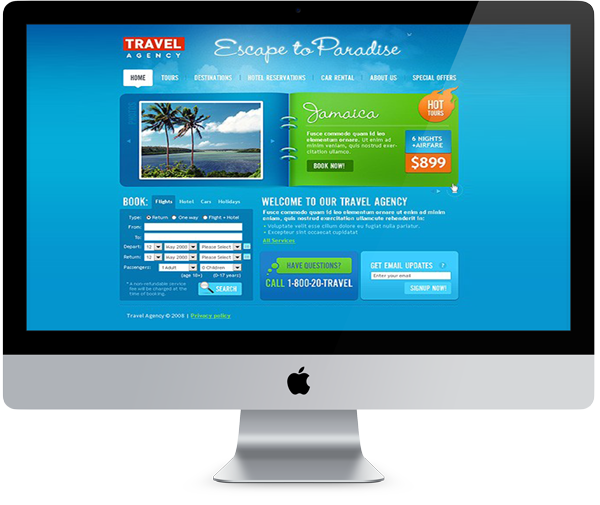 A travel site came to us frustrated and ready to give up. They had previously engaged with a reputable online marketing agency that's reputation precedes them. With a terrific reputation and a large group of marketers handling their account, this client was confident it had made the right choice for its marketing efforts. Unfortunately, the results speak for themselves. For a site engaging in AdWords to make revenue and tracking their return on ad spend, it just wasn't working out. 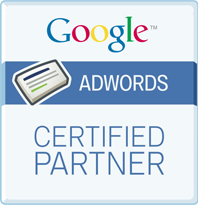 The agency had worked hard but couldn't provide a positive return on investment with AdWords. After encountering further issues with other services provided by the agency this client decided to look for other options. They contacted us. Persistently underperforming ad spend in AdWords could not return any more than .80 ROAS (return on ad spend). A big revelation for business owners is they find out consumers don't know you exist unless you're online. Potential customers are growing increasingly less likely to find your business based on driving by the store, looking up businesses in the Yellow Pages, or seeing your ad on TV. The abundance of information available to consumers online makes physically searching for the right business obsolete. You want your business to be where your potential customers are, and they are online. By guaranteeing your business can be found online, you exponentially increase the possibility that the right information gets to your online customers. And they buy your product. One of the big issues with this client was they needed to get people in the right tunnel. The company was online but it wasn't in the right places or where they could see a return on its investment. Hence the constantly underperforming ads and low return on its investment. It's clear to us that the ads weren't being managed effectively. Much of the campaign structure didn't make sense like they were just launched without a rhyme or reason. Even worse was they weren't being optimized effectively after they were launched. Spend was being wasted on the wrong audience, typically not being narrow enough to provide a good return. That's a system for failure every time. No matter the size or reputation of the agency. The search queries weren't reviewed to exclude unprofitable searches. To make matters worse, the choice method was CPL (cost per lead) as opposed to ROS. As the poor results for this client indicate, it limits what you can make … or don't. No to mention it leaves the client to think it should just give up and put it's time, effort and money in something that will actually show results. To carry over the theme of poor work with no results, another huge factor that played a role in the company's struggles is targeted keywords. They didn't make sense for the audience the company should have been targeting. They weren't utilized in the proper and effective way. Keywords is one of the best ways to get people to click on your ads and get conversions from those ads. But it has to be done right and target the right audience. As noted above, it's one thing to be online, but you have to be in the right places for customers to find you. This client wasn't in the right places. It wasn't even close to the right tunnel. The tactics that were chosen cost time and money. More importantly, it cost the client customers because there was no way for the strategy to work. It was destined to fail before it was even launched. When a company has these intangibles and factors in play from the agency it chooses, success is near impossible to have or find. You have to know what the goals are for the client and how to make those goals tangible. Proven by the poor results, one could make the case that no one knew what the goals were or how to make them real. What's the bigger problem is it would show the agency didn't care enough to put in the time or effort to fix the strategy or scrap it to go with something that would work. With the lack of effort and results, it's no wonder the company wanted out. A strategy had to get implemented that made sense for all parties involved. The client needed us to not only show it results but that we cared enough to get those results. One of the most effective ways to make results happen is to spell out keywords with Adwords and Keyword Planner. What are the competitive keywords the site can rank for? It's intuition and can become a huge list. For small companies it's 50 words. For larger companies it is upwards of 500. The key is to find the core keywords and add local modifiers when appropriate. That's where you find the nuggets that will drive up traffic and search rankings. You have to think, "how will people search for this?" Once they find it, "what would make me want to click on the ad and use this service?" Make it personable. Make it something the person who is looking at it can't help but say, "I need this, and I need it now." The next step is to find the most important keywords. You do this by ranking your list of keywords in weight classes: heavyweight, middleweight, lightweight and featherweight. Can the company rank for the keywords picked? If it's in a class with heavyweights the answer is "no." You want to find the keywords and local modifiers that put your company in the light or featherweight class since it's far easier to rank and drive up traffic. Thus, it's far easier to make money. When you get to this point, you find the risk vs. the reward. How much work will it take and is it worth the reward? The only way to know this is to do the research and the work before you get to this point. This isn't a question you ask until after you know what it is you're going after. We spelled out keywords for the client that were relevant for every aspect of this specific company. When we found those keywords, we added those local modifiers where appropriate to make them even more powerful and useful. We found long-tail keywords that are very specific to the search that potential customers will use. We knew what would work and how long it would take for it to work. We knew the cost and the reward for this client by putting in that backwork. The other strategy you can use is bidding software and connect them to Google Analytics. Make sure the bids are on revenue. They need to be ROS as opposed to CPL. As with keywords, you have to do the research and put in the work to find what's effective. You do this by testing the ad copy. Find the ads that work and build on the ones that do. For the ones that don't, pause them and put your focus on the ones that see conversions. What's the point in wasting time and money on something that doesn't bring in revenue? You have to review the search queries. As an example: exclude the unprofitable searches and include the profitable ones. Leads are up 360 percent. Cost is down 10 percent and remains constant at around 5 percent. Revenue is up 125 percent. The only way to get to this point is to have a good management relationship with the client, know the client and do your research. The work was put into on the backend. If something didn't work, it was scrapped and redone until the right tactic was found. Once we did find something was working, we built upon it again, constantly striving for more improvements. After you get to the point, the key is to manage it and keep an eye on it. There's always ways to improve the ad and get better. Just because a strategy has success, and in this case a lot of success, doesn't mean you give up and say the job is done. We're constantly looking for ways to make sure we can give this client even more success. Is there anything we can tinker with? Is there a keyword we may have left off? How can we draw up even more traffic and conversions? To get to that point took a good management relationship with the client, knowledge of the client and doing our research. All three tie together. If one aspect declines or drops, it will affect the rankings and money you could make. As was shown by the poor results and struggles the client had with the large Agency. But when it's done right, as the results show, Internet marketing isn't so scary. Just when you're about to give up you realize how effective and imperative it is to have. It's a key part of your business that can make scary amounts of money. "Clicks and Clients has driven more than double the organic visitors to our web properties in two years, AND they've increased the conversion ratio of those visitors into actual leads. While rankings and traffic are great, our business relies on leads to drive revenue. Clicks and Clients' focus on that KPI above all others has set them apart as not just a valued SEO vendor, but a true business partner for us and our franchisees." "When my husband and I bought a bed and breakfast in 2006, we were more worried about fixing up the house than filling it. We worked hard on a new and improved website, but then we realized that we had no idea how to actually get people to look at it. That's where Paul came in. He has a great combination of expertise and curiosity, and he took the initiative to improve our visibility online in ways we didn't even know existed. He has taught us some cool things about how it all works without confusing us with too much technical jargon. Now most of our business is coming straight to us (from overseas even!)."